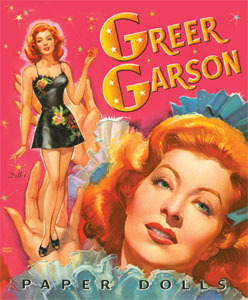 The great MGM costume designer, Adrian, dressed Hollywood's most glamorous stars including Greta Garbo and Joan Crawford. 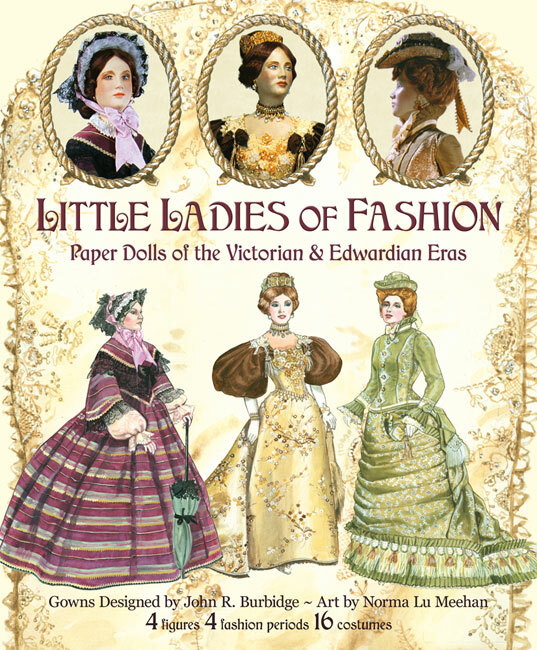 Later, he also created haute couture collections for fashionable women everywhere. 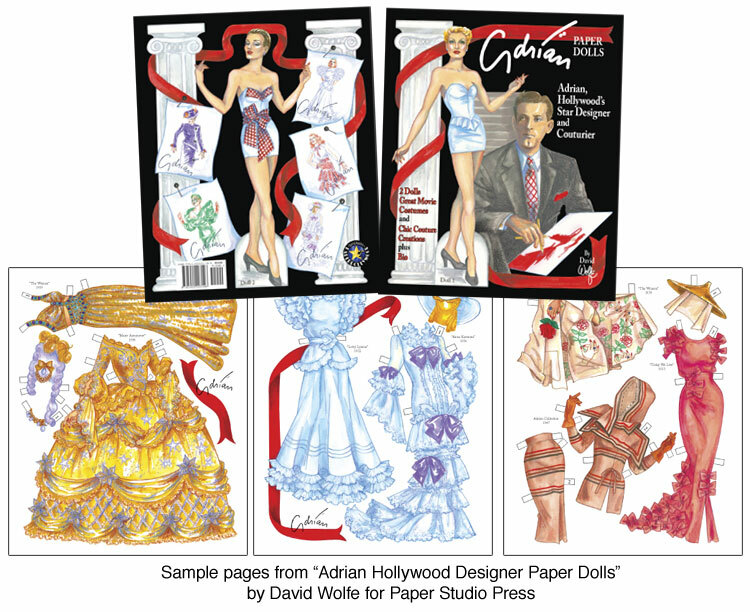 Now both Adrian's spectacular star fashions and couture creations are presented in this authorized paper doll book, illustrated by David Wolfe. 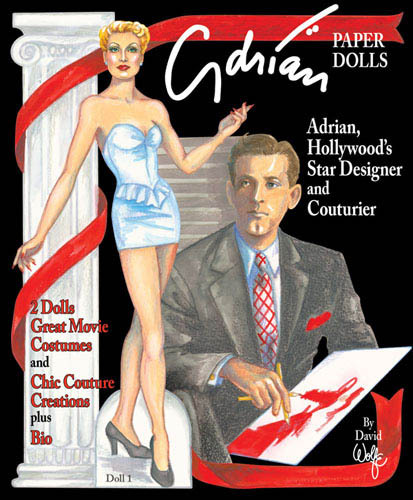 The 8 page book features 20 of Adrian's designs to cut out and dress the two model dolls on the covers. 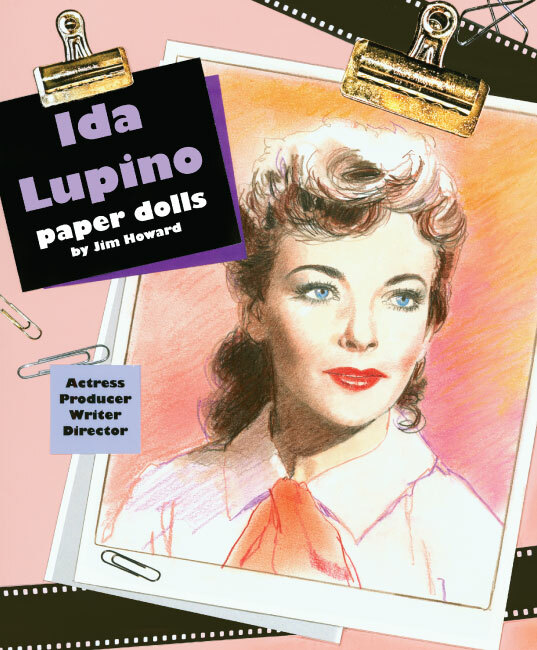 Movie costumes include Today We Live (1933), Letty Lynton (1932), Anna Karenina (1936), No More Ladies (1935) The Women (1939), Camille (1936), Marie Antoinette (1938), The Philadelphia Story (1940), Ziegfeld Girl (1941) plus dramatic designs from the Adrian fashion collection and a biography of the famous designer.